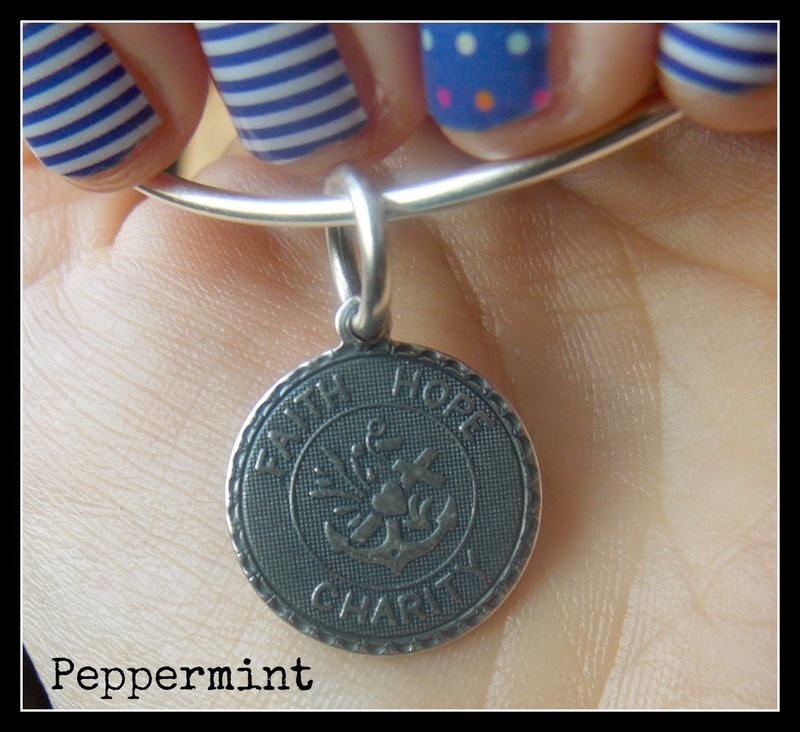 Here's a look at my newest bracelets! I am never without bracelets. You'll usually find them in a stack on my arm. Check out some of my latest finds! Best of all, you can purchase all of them in Rochester. 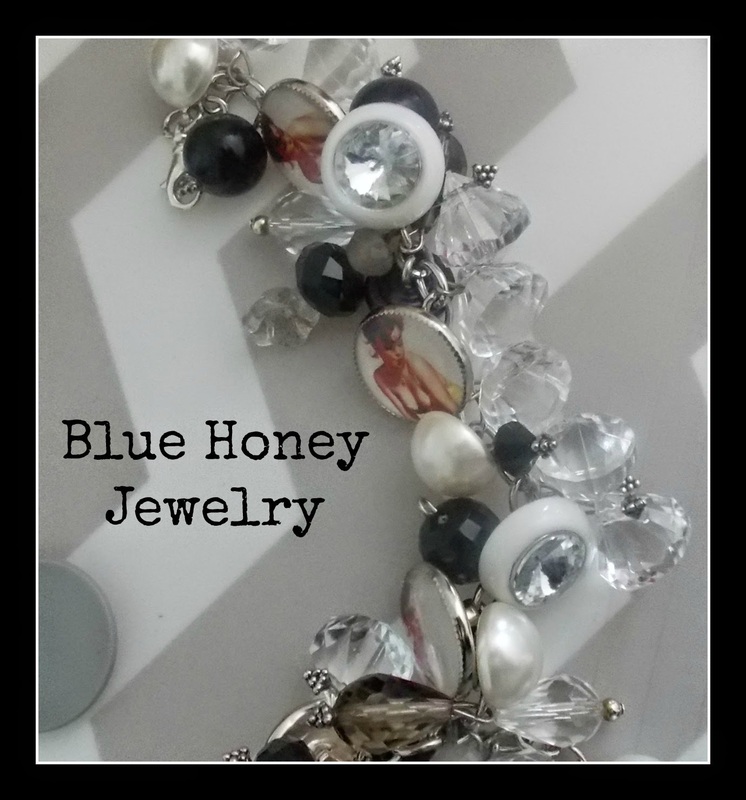 Webster's Julie Rodda of Blue Honey Jewelry is a gem. And she makes the most stunning baubles using vintage components! Find her on Etsy and select local boutiques. I had the pleasure of sharing and event with her and got to meet her the other day. After the guests left, we talked and talked about vintage finds, estate sales, Etsy & more. 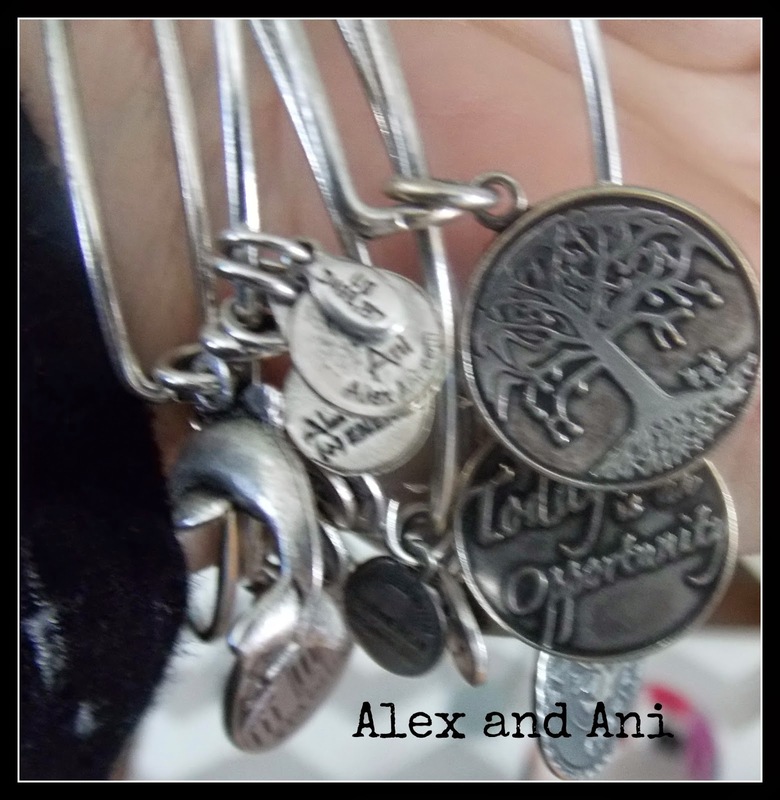 Use code PEACE to save 25% in her Etsy shop, too! Be sure to tell her C & G sent you! And the visit before that one, I came out with this bracelet duo. Love it! 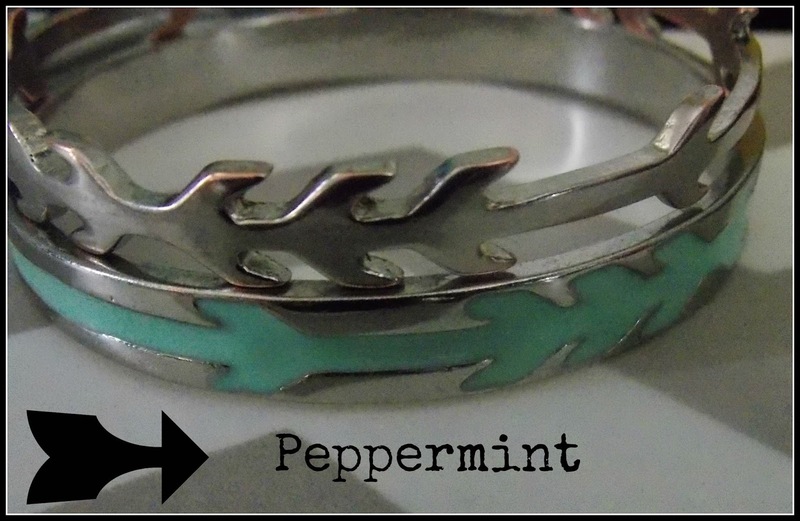 Also from Peppermint. 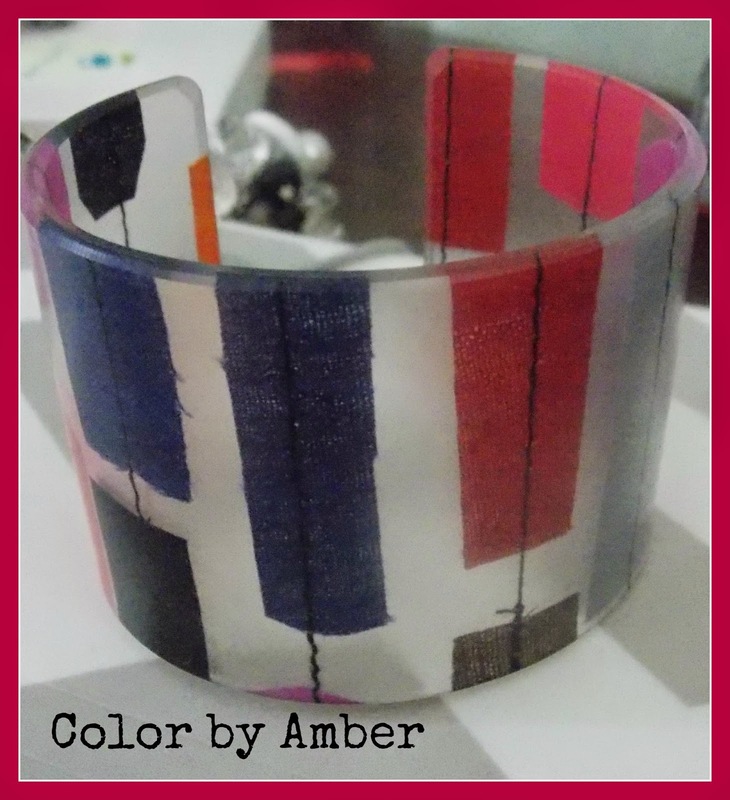 Finally, we have one of my eco-resin cuff bracelets from Color by Amber. It's called the Mini Connect and features several different colors on it.